Jaguar is injecting its F-Type with a bit more excitement, at least when it comes to appearance. The automaker announced a new Checkered Flag Limited Edition model today, which adds some spice to both coupe and convertible models. The package is designed to celebrate Jaguar’s sports car heritage, starting with the XK 120 in 1948. 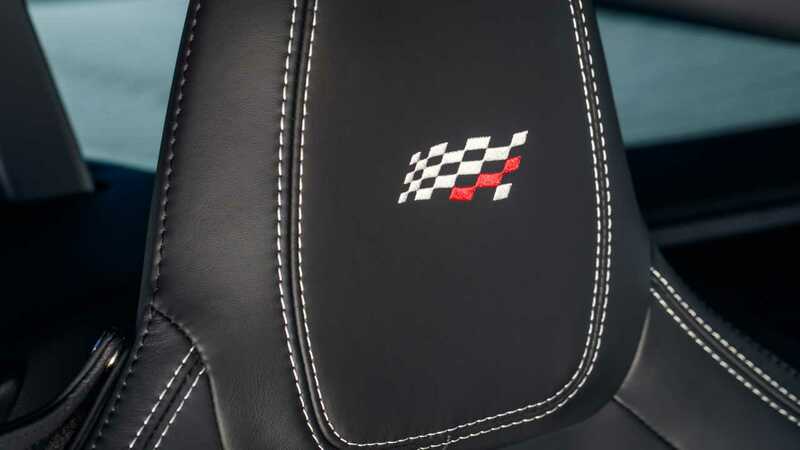 Inside, the Checkered Flag Limited Edition gets a Windsor Leather interior that includes brushed aluminum trim on the center console and headrests embossed with checkered flags. Contract stitching for the ebony seats is available in either red or cirrus. And as a constant reminder for drivers that this isn’t a typical F-Type, there’s a subtle checkered flag logo on the steering wheel and a red leather strip to mark the wheel’s straight-up position. Because, you know, race car. The rest of the car is standard F-Type, though the Checkered Flag model is based on the higher-spec F-Type R-Dynamic variant. It’s available with either the rear-wheel-drive turbocharged four-pot making 296 horsepower (221 kilowatts) or the supercharged V6 belting out 380 hp (283 kW) to all four wheels. The eight-speed gearbox remains the only shifting option. Jaguar doesn’t say how many Checkered Flag Limited Edition models it will build, but pricing in the U.S. starts at $71,900. (MAHWAH, N.J.) – January 30, 2019 – Today, Jaguar has announced the addition of a new Checkered Flag Limited Edition model to the 2020 F-TYPE model line-up. This limited edition model celebrates the brand’s rich sports car heritage dating back to the reveal of the XK 120 in 1948. The standard Jaguar InControl® Touch Pro™ infotainment system2 features Meridian® audio, a suite of connected services and, Apple CarPlay® and Android Auto™3 as standard to make it easier than ever to access tailored smartphone apps using the 10-inch touchscreen4.